Looking for places to find high-quality Easter graphics for your sliders? 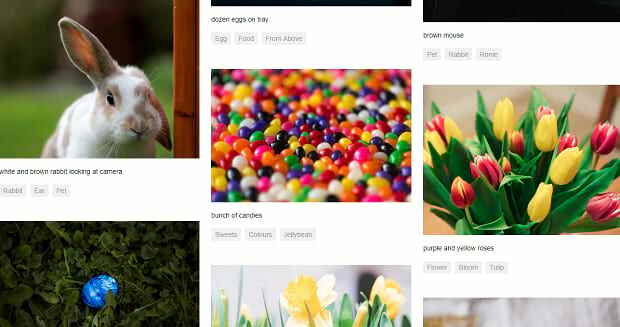 With big spring holidays coming up, you might want to decorate your WordPress site with Easter and spring images. An Easter slider might be a great way to liven things up a bit! Decorate your site with bright, spring pastels. Celebrate the holidays with a site redesign. Get users in the mood for an Easter sale with an Easter e-commerce slider. If you need Easter graphics, you’ve come to the right place. These sources are the best place to find and download beautiful images for icons and slider banners. Photography, graphics, and icons; Freepik has all sorts of graphics to choose from. With 30,000+ Easter images, you’ll never run out of content. And everything from cute characters, vectors, illustrations, welcome cards, and scenery can be found here. Freepik is a freemium service with some premium images and a download cap of 3-10 per day. Otherwise, all these images can be used for free with attribution. Vecteezy specializes in offering scalable vector images. Icons, banners, and pretty pastel patterns are what you’ll find here. All Vecteezy requires is an attribution link if you use the images on your site. There are some premium images on the site, but a majority of the Easter set is free for use. Pixabay isn’t just for free photography; vector images and illustrations can also be found there! Clip art, icons, patterns, and welcome messages are among the thousands of images you’ll find in the vectors category. Or check out illustrations for beautiful artwork, banners, and graphic design. Everything on Pixabay is free with no attribution required and no strings attached. If you’re looking for Easter photography for your slider, check out the Easter photos on Pixabay. There are thousands of them! Vexels has hundreds of Easter graphics available, ranging from simple lettering to cute patterns and adorable icons. However, Vexels images require a license to use commercially, so keep that in mind. Many images are also premium only. If you’re willing to pay for your graphics, there are plenty of Etsy vendors selling vectors, patterns, and art as a digital download. These would make perfect images for a website. Due to the thousands of sellers with different policies regarding commercial use, you should carefully read the description of any artwork you purchase. Some vendors require you to also buy a commercial license. If you’d rather use Easter photography in your slider than graphics, Pexels is a great place to go. There’s so much beautiful photography, all able to be used commercially with no attribution. There are quite a few photos of painted eggs and colorful flowers, along with some cute animals or other Easter crafts. Unsplash is host to hundreds of thousands of the internet’s free photography, and strictly vets submissions to ensure all photos are high quality. Colorful eggs and flowers, pastels, and cute rabbits are among what you’ll find in this stunning set of scenic photography. All Unsplash images are free for commercial use, so go to town! Stock photos, illustrations, and more. 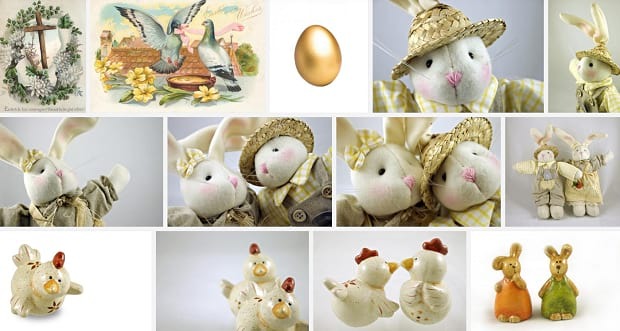 Stockvault offers a few hundred Easter images, many of the photos of scenes or specific items. Make sure to check the license, as not all of these are available for commercial use, but all of them are free. Also, check out the spring images! Nothing makes a website look fresher than spring decorations, and an Easter slider right on the homepage might be just the thing. Eggs, rabbits, and bright colors will give your WordPress site a whole new tone and a brighter look. Decorating for a special Easter sale? Check out our guide on creating a slider for sales and events. If we helped you find the graphics you were looking for, please follow us on Facebook and Twitter for more blogging resources!